Lighting: Lights & reflective gear required for BOTH distances. 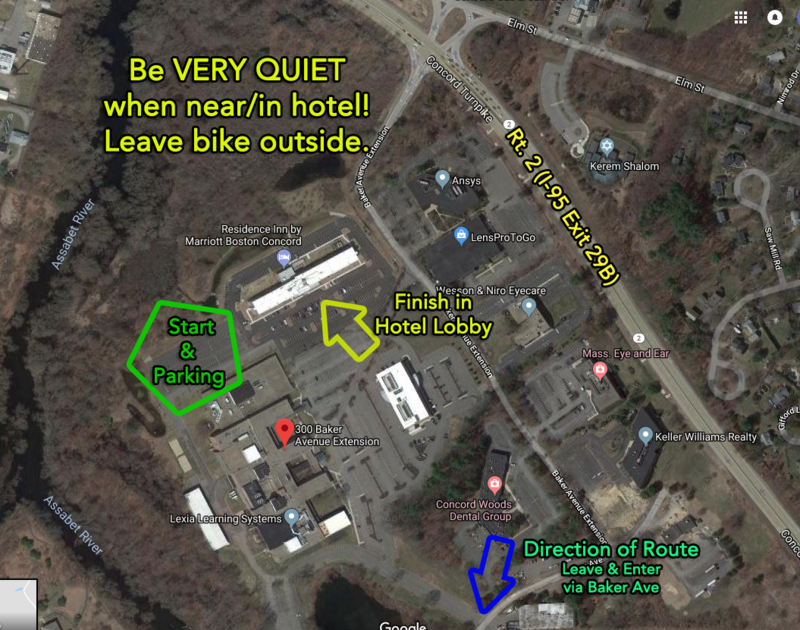 Parking/Start Location 2019: Both distanced will start in the far rear lot of 300k Baker Ave Extension, next to Emmerson Hospital building and behind the Residence Inn adjacent to the woods. The ride start and check-in is outside in the parking lot. At the finish riders should leave their bikes outside and come into the lobby of the Residence Inn to check-in. Lighting and Reflective Gear: Sunset is at 8:05pm. All riders (both distances) finishing after 7:30pm MUST BE WEARING REFLECTIVE GEAR AND LIGHTS. Riders will be checked at the start to ensure they start regulation safety gear and must use said gear starting with sundown. Controls: NER supported control in Holland, MA (300k Only) Other locations are at local merchant where water and snacks can be purchased. Dirt & Pavement Conditions: Both distances are fully paved, however poor pavement will be found in many sections. After many years of using a 300k route which traveled past the Conn. River we figured it was time for something new. After months of planning, checking, and riding a brand new route has been established. I (Jake) think this is one of the nicest brevet routes in Eastern NE but would love to hear comments from riders. A description is below. Leg 1 (200k, 300k) – It wouldn’t be a 300k without a stop at the famous Tweedo’s so that’s were riders will head. 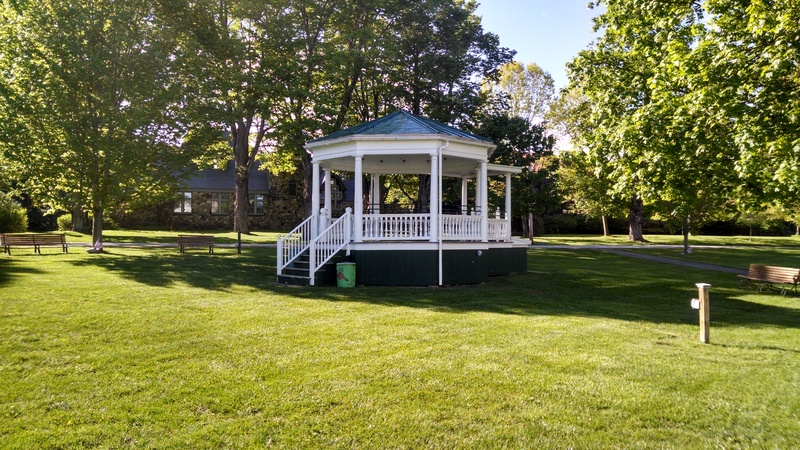 With the new start location in Concord it’s quicker to get to Ashburnham so no more stopping at the Dunkin’ in Harvard. 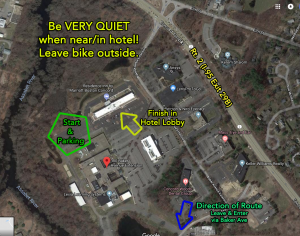 Riders will leave out the back of the office park, cut through West Concord (last chance for snacks) and take the traditional roads to South Action before heading northwest. Much of this section is similar to previous years which is to say rural and hilly. 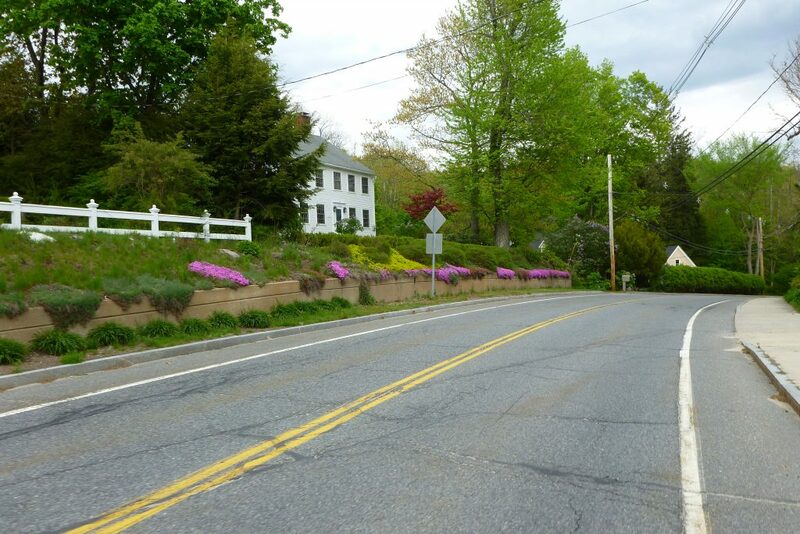 Yes, Cushing (CRushing) hill remains perhaps steepest climb of the ride but it’s also pretty short. Leg 2 (200k, 300k) – From Tweedo’s the route heads almost due south though some of Massachusett’s small central west towns. IMHO, this is about as nice of a leg as they come. Almost no cars, rolling hills, small farms, interesting sites. It’s gorgeous and challenging but with some nice long descents to give riders a break. First, we pass Smith’s Country Cheese into Templeton, MA and then continue to Berre and finally to Hardwick. In Hardwick all riders have a chance to stop at the newly opened Mini’s Coffeehouse — the only store in the town. For 200k riders Hardwick is a control town and they’ll turn East to head back toward Concord. 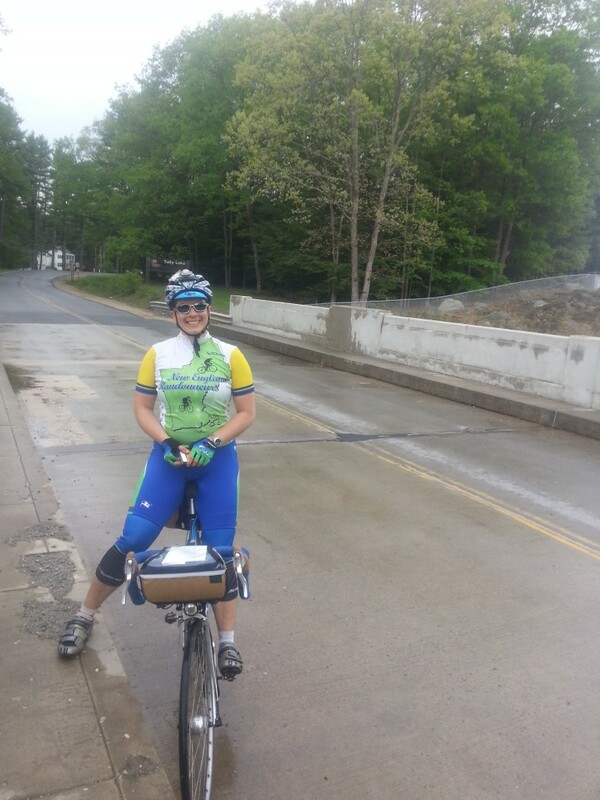 300k riders will continue south (stopping optional) to Ware and into the DCR park in the south section of the Quabbin. There’s a long climb up to an overlook but it’s not too steep and the pavement is in good shape. 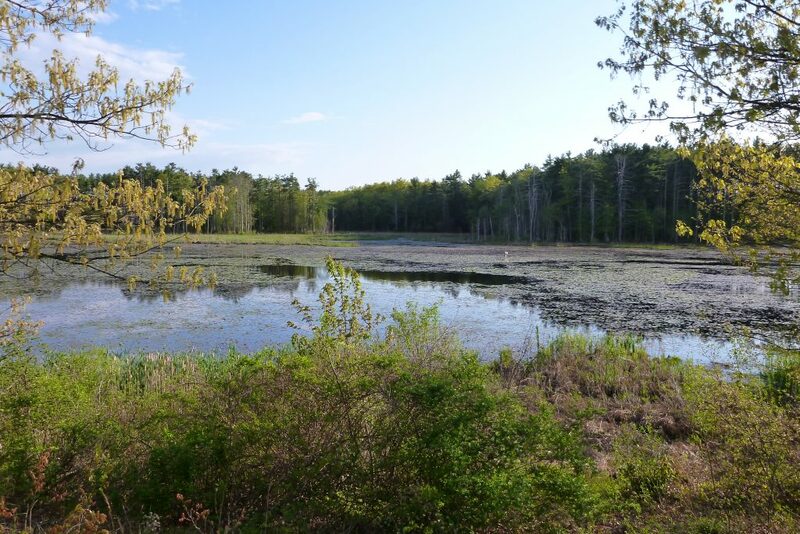 Once at the top you can see 100,000 acres of pristine wilderness guarding Boston’s water supply. The overlook is an info control so be warned you still have another 10-15 miles until the next chance for water and snacks. 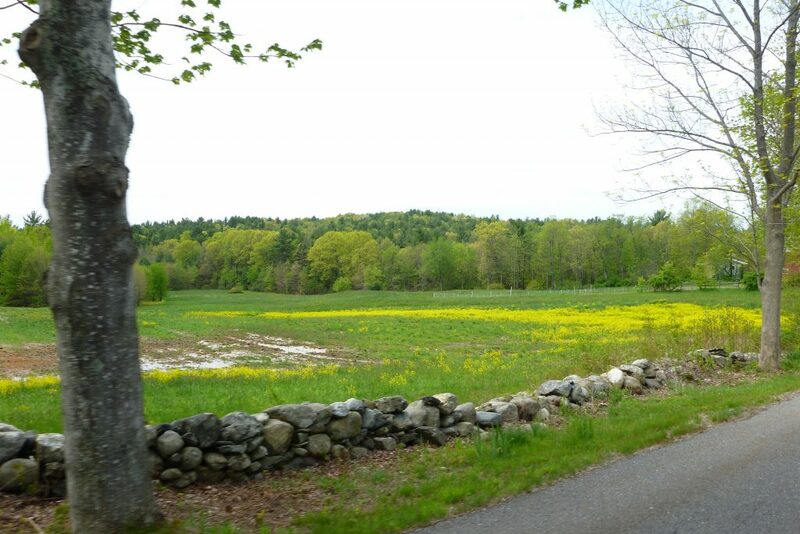 Leg 3 (300k) – Enjoy the nice long descent out of the park and along the Swift River through Bondville and to Palmer. In Palmer there are plenty of chances for a meal for those who want a hot lunch. Leaving town you’ll pass the old Monson Developmental Center, an enormous, now closed state hospital. 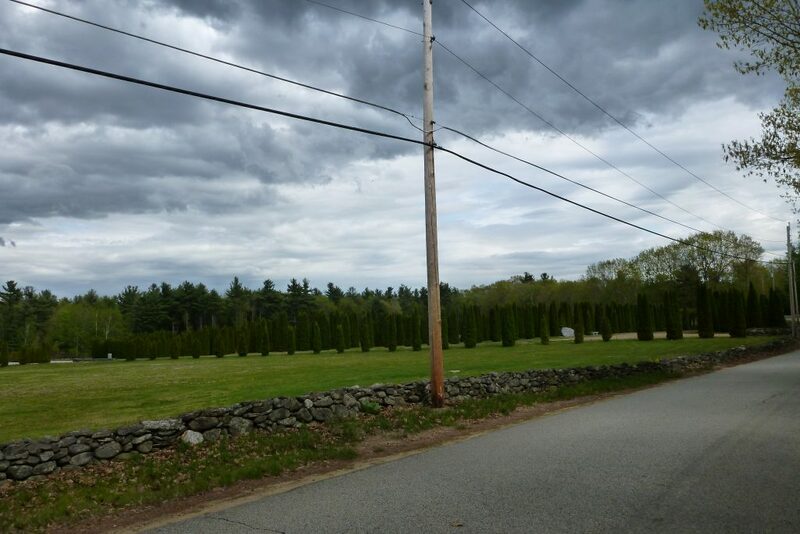 From there the route enters Monson which is a wealthy central Mass/CT border town. From Monson riders go East to European cities of Wales and Holland. In Holland we’ll have a supported control with snacks and water. 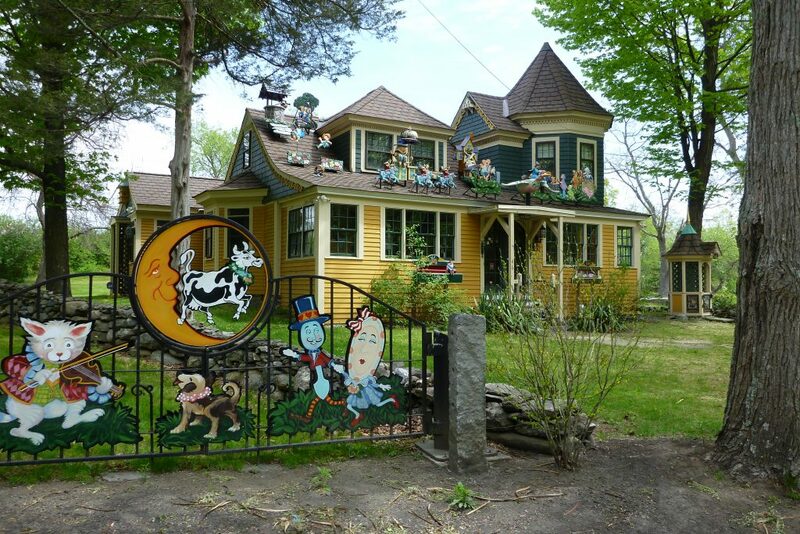 Leg 4 (300k) – From Holland the route heads North staying on the small farm routes through Brimfield (Antiques, anyone?) 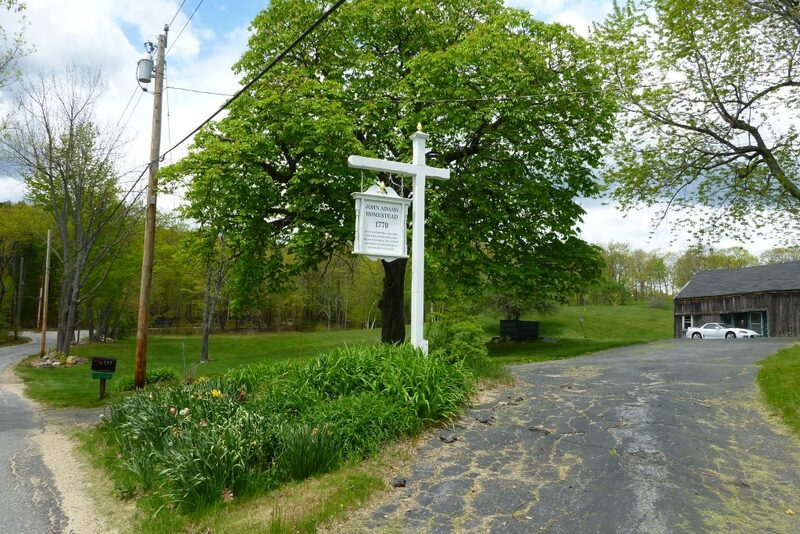 and on many of the roads representing the original ‘Boston Post Road’ which was the primary route between Boston and New York in the early 1700s. Riders will pass the large State Police training facility in New Braintree and drip through Oakham which riders of the MA 200k will recall. Finally the 200k & 300k routes rejoin in Rutland where there’s another chance for a food. In Rutland riders of Boston distances should put on their reflective gear and lights if they hadn’t already. Leg 5 (200k, 300k) – You’re in the home stretch now. From Rutland you’ll take some back roads to Sterling which many riders will know from NER’s early 100k. It’s a straight shot back to Concord at this point with less then 40 miles to go. Back at the Concord Hotel we’ll have snacks and if you arrive early enough you can even buy a beer at the hotel bar. So why should you ride the 300k? Lots climbing and a few great views. Most controls are small stores. Anyone know the story behind this house in Lunenburg? You’re at the top of a climb when you see this. One of several farm stands off Williamsville Road in Hubardstron. Be Alert! (But for what?) 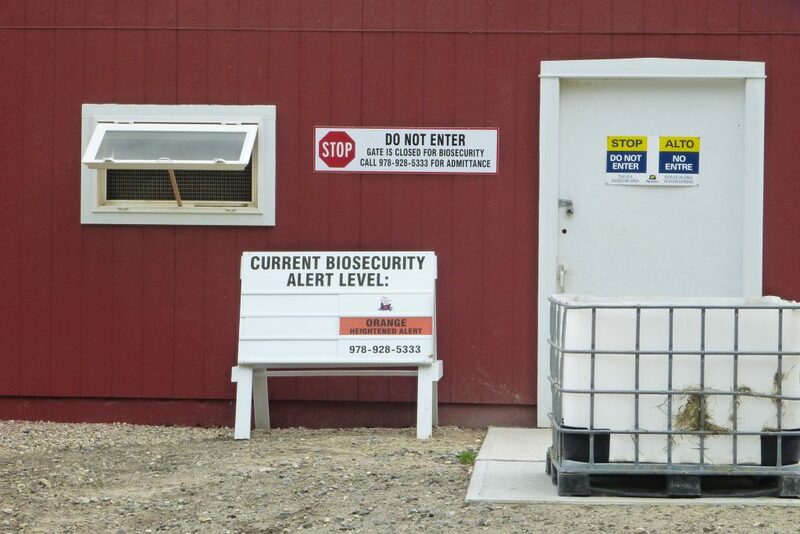 This is a chicken coop owned by the Country Hen (local egg producer) which both distances pass. Lots of nice pictures in this report. 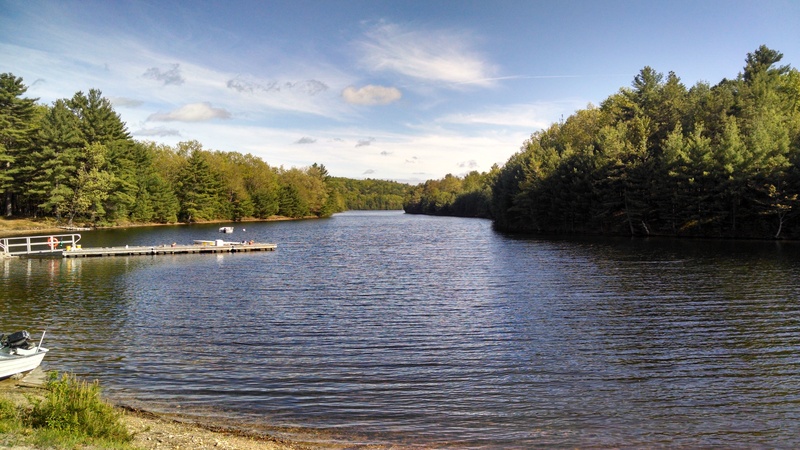 This ride report refers to the 2013 version which goes to Northfield and Sunderland, MA. 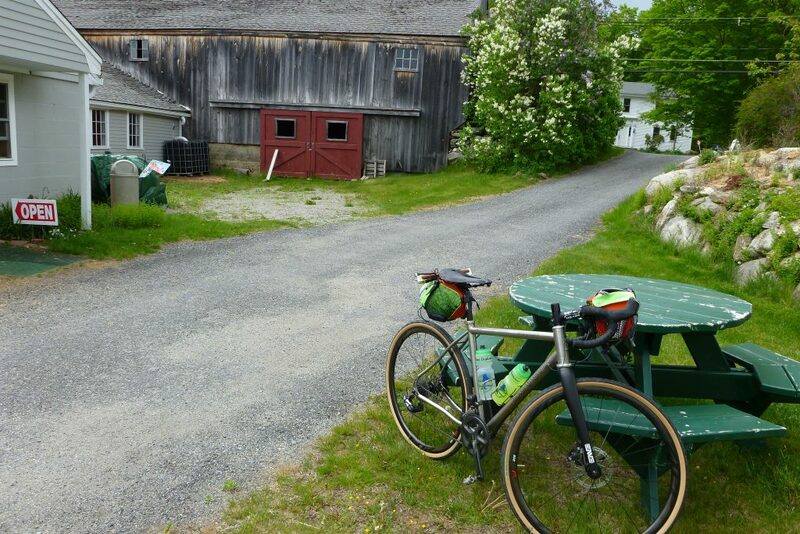 This ride report refers to the 2012 version of the 300k which heads out to Warwick & Wendell, MA. In 2012 riders experienced unrelenting rain and cold throughout the entire ride. This was a difficult event for even the strongest of riders. Cris Conception’s 300k ride reports from 2006 and 2007. More of Cris’s ride reports can be found here. Jake Kassen’s 300k ride report from 2006. More of Jake’s ride reports can be found here. Massimiliano Poletto’s 300k report from 2003 and 2004 and 2005. Max has lots of randonneuring stories on his website. Coming In From the Cold: The Boston 300k by Bruce Ingle. Editor’s Note: 2002 was a cold, wet running of the 300k. Bruce’s ride is not typical. Pamela Blalock’s ride report from 2002. If you read Bruce’s 2002 report then you should also read Pamela’s. Pamela and John Bayley have a wealth of randonneuring info on their website. More of Mike’s reports are here. Kris Kjellquist’s 300k ride reports from 2005 and 2006. If you’d like to see your ride report listed here, please send the text or a link to the NER webmaster.